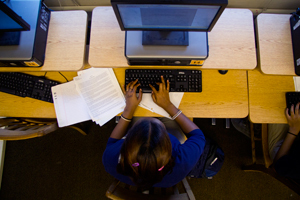 Online learning isn’t just grabbing the imagination of educators in Silicon Valley. In the nation’s capital, D.C. Schools Chancellor Kaya Henderson has expressed interest in bringing one of the more successful blended-learning school models, Rocketship Education, to the district. And in Florida, entering ninth graders will now have to complete at least one online course during high school in order to graduate. For the first time in roughly a century—since the transition from the one-room schoolhouse to the classroom- and age-based school—a dramatic change in the basic way we structure our educational system is afoot. 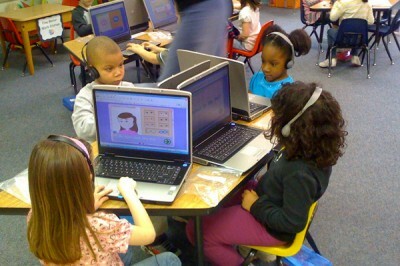 Online learning is on the rise in the nation’s public schools. In the year 2000, roughly 45,000 K-12 students took an online course. In 2010, roughly 4 million did, according to Ambient Insight. And, according to our projections, 50 percent of all high school courses will be taken online by 2019—the vast majority of them in blended-learning school environments with teachers, which will fundamentally move learning beyond the four walls and traditional arrangement of today’s all-too-familiar classroom. As a disruptive innovation—an innovation that transforms a sector from one that was previously complicated and expensive into one that is far simpler and more affordable — the rise of online learning carries with it an unprecedented opportunity to transform the schooling system into a student-centric one that can affordably customize for different student needs by allowing all students to learn at their appropriate pace and path, thereby allowing each student to realize her fullest potential.